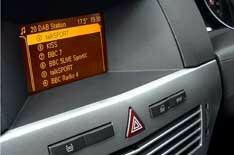 Digital radio switchover planned | What Car? A Government working group has said that all UK radio stations should become digital by 2020, meaning drivers would no longer be able to listen to medium wave on their cars' radio. The Digital Radio Working Group has recommended that the switchover to digital audio broadcasting (DAB) from analogue should not come later than 2020. However, there are two key areas that would have to be in place before any such switchover could happen. The first is that coverage levels across the UK would have to increase and so would the strength of the DAB signal; the second is that car manufacturers would have to be persuaded to install digital radios as standard. Many car makers have been wary of fitting DAB radios because the radio industry hasn't been clear about its commitment to the medium. Their fears are in many ways justifiable, because some digital stations have closed and the UK's biggest commercial radio group has questioned just how viable DAB is. Do car buyers even want DAB? The advantages of DAB include improved sound quality - there's no medium-wave hiss and crackle, for example - and the details of songs that are being played are displayed on your car's radio. The signal is also less prone to interference than FM and, if you live in a poor analogue signal area, you might get better reception with DAB. If car makers were to offer DAB as standard, you could realistically expect it to add around 280-450 to the cost of a car. Mercedes-Benz has recently added DAB to many of its cars, and it's an option on many others. It's now standard on higher-model S-Class and SLK models, and costs 320 as an option on other cars in the range. Mercedes says there is a 'reasonable uptake' on the option, suggesting that there is a market for it, although it's not their most popular option. Vauxhall has offered DAB on its cars as a 450 option for some time, while BMW charges 280 for it on most of its range. As an option on selected Audis, it costs between 300-345, and DAB is a 400 dealer-fit option on all of Renault's cars. With the exception of Land Rover and one limited-edition Fiat Grande Punto, no other car makers have the system available even as an option, so there's some way to go yet before DAB becomes the norm.